Katong Family Clinic is a Family Physician (GP) clinic located in the heart of Katong where its Directors, Dr Sarah Jane Packer and Dr Jack Lee Yi Jie are dedicated to providing holistic and person-centred care to our patients of all ages with a variety of health issues. Provide high quality, affordable and personalised care. Assist you to develop the knowledge, abilities and confidence to effectively manage and make your own informed choices about your health care. Treat you with dignity, compassion and respect. 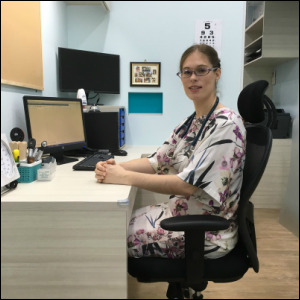 Dr Sarah Jane Packer is a Family Physician fully registered with the Singapore Medical Council and accredited by the Family Physicians Accreditation Board of Singapore. She graduated from Guys, King’s & St Thomas’s London in 2006 and completed her Foundation Programme with the London Deanery in 2008. She then entered GP specialist training in the London-KSS Deanery during which she obtained the Diploma of the Royal College of Obstetricians and Gynaecologists (UK) in 2010. She went on to achieve Membership of the Royal College of General Practitioners (UK) in 2011, following which she moved to Singapore with her husband. Since 2011 she has been working in the field of Family Medicine in Singapore and as a Director and Family Physician of Katong Family Clinic, hopes to use her knowledge and experience to bring a more person-centred approach to Family Practice to the forefront. She is well-versed in the care of patients of all ages. Her areas of interest include Women’s Health, Chronic Disease Management, Minor Surgical Procedures, Occupational Medicine, Travel Medicine, Health Screening and Preventative Medicine. ​Dr Jack Lee Yi Jie is a General Practitioner with a special interest in Ear, Nose & Throat (ENT) diseases. He graduated from Guys, King’s & St Thomas’s London in 2006 and completed his basic surgical and ENT training with the London Deanery in 2010. His training included working in prestigious institutions like Great Ormond Street Hospital for Children (London), University College Hospital (London) and Imperial College St Mary’s Hospital (London). He obtained Membership to the Royal College of Surgeons (England) in 2009 and the Diploma in Otolaryngology, Head & Neck Surgery (RCS England) in 2010. He relocated back to Singapore in 2011 and joined hospital practice in Tan Tock Seng Hospital. 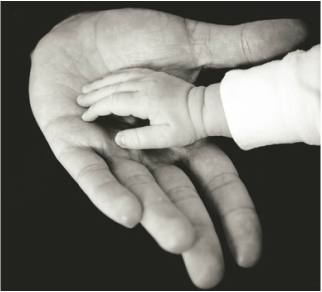 Following the birth of his daughter 2 years later, he entered family practice. 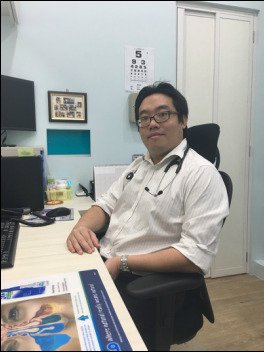 As a Director and GP of Katong Family Clinic, he hopes to bring his experience to his patients, introducing them to a more friendly, holistic, patient orientated family practitioner. His areas of interest include Ear, Nose & Throat diseases, Minor Surgical Procedures, Chronic Disease Management, Travel Medicine and Preventative Medicine.